Tom has had a passionate interest in all things sailing from an early age. He got his hands on his first catamaran at 9 years old. After sailing many oceans he became sailing coach at New York’s Cornell University before establishing himself as a Captain on some of the Caribbeans most renowned large charter catamarans. Tom has performed extensive refits and acted as project manager for a European based construction and launch of a new class of catamaran. 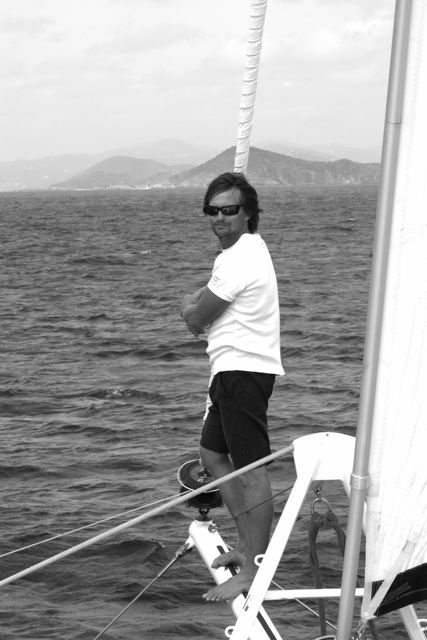 A fascination with the design and development of innovative yachts has led him to work with a variety of leading catamaran naval architects adding to his extensive catamaran knowledge base and experience.